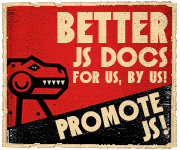 I moved the Joose SVN repository back to the Joose's Google Code site. Joose used to live in the Moose repository which was great but didn't have a great function to view the source code without checking it out of the repository. I'd recommend looking at the class that represents the rectangle shapes in the blok application. It really shows how roles can be used as a very flexible extention mechanism.